This organisation has been around for many years. They do have some good stuff. However their boss is a gentleman called Rob Balsamo. He is a professional pilot but he is also Jewish. He doesn't allow No Planers in though he did have a section called "alternative theories" that tolerated No Planers. Time to renew my periodic invitation to anyone who witnessed "UA 175" or "AA11" pass ghostlike through the massive steel facades of either tower to offer himself for cross examination. This was a movie produced by Arnon Milchan in 1978. 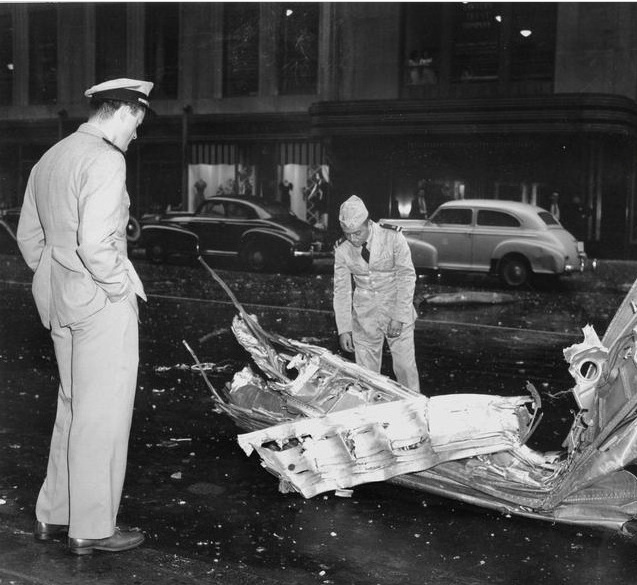 It has a sequence with a 747 crashing into the Pan am Building in New York. I had hoped to post an image but it didn't come through. 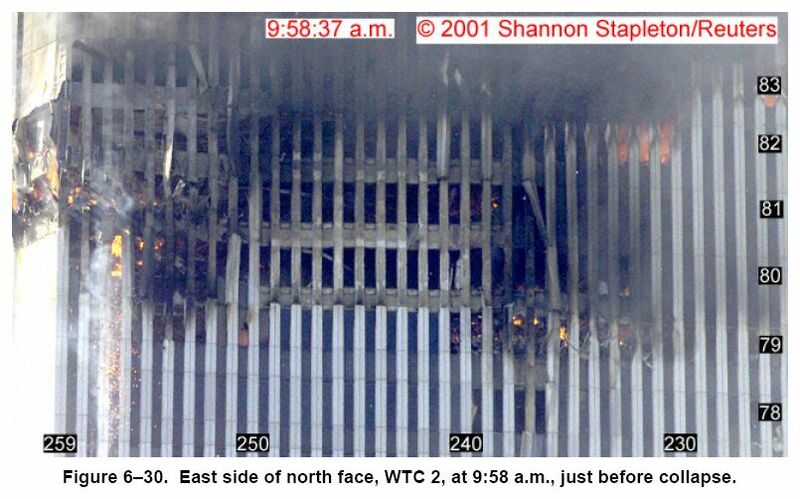 This is a photograph of the North Face of the South Tower after the second "hit". As you can see there is no hole. The Murray street engine obviously didn't come through the building. It was the wrong type anyway !!!! 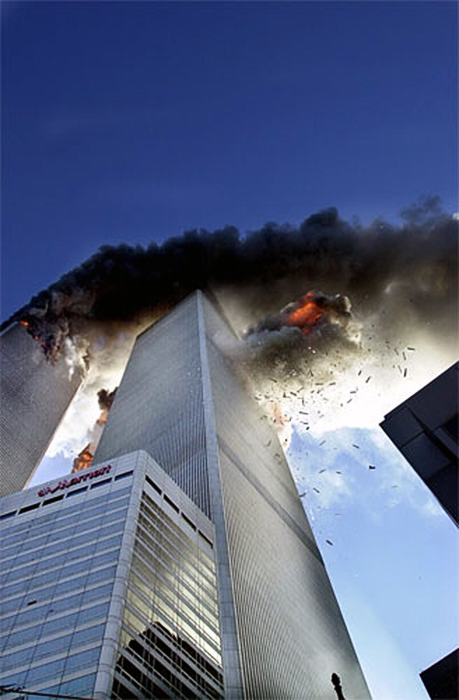 A clearer picture of David Handschuh's photograph that proves there was no plane. Kids in a school right under the "flight path" of the fictitious "UA 175" did not hear the sound of a B767 on full throttle just 700 ft above them. This would have been a thunderous ear splitting roar. 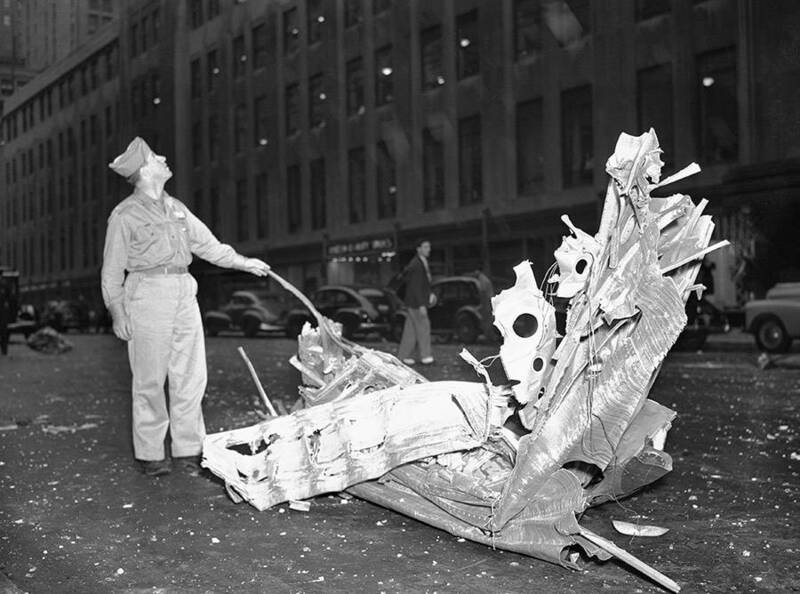 A B25 hit the Empire State Building in July 1945. Both wings were sheared off. This one hit the street. Mangled but still recognisable as a B25 Wing.